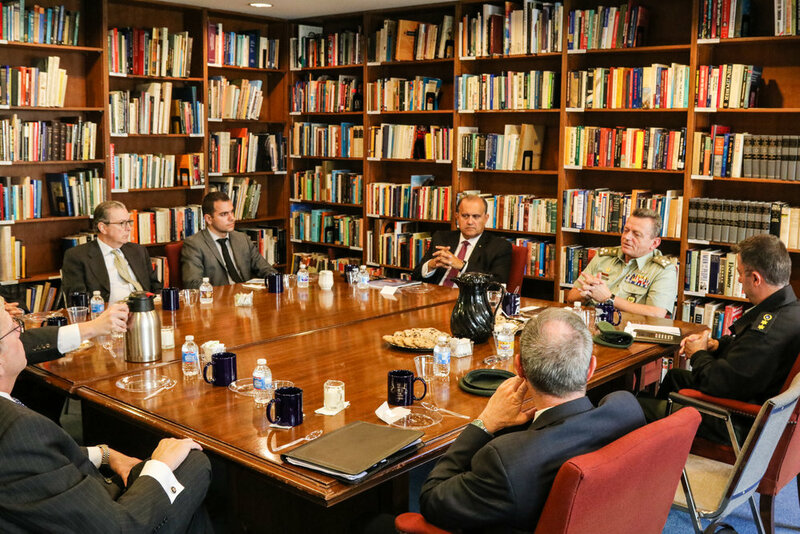 WASHINGTON, DC —The American Hellenic Institute (AHI) hosted the military chiefs of Greece and the Republic of Cyprus during separate events held October 17, 2018. 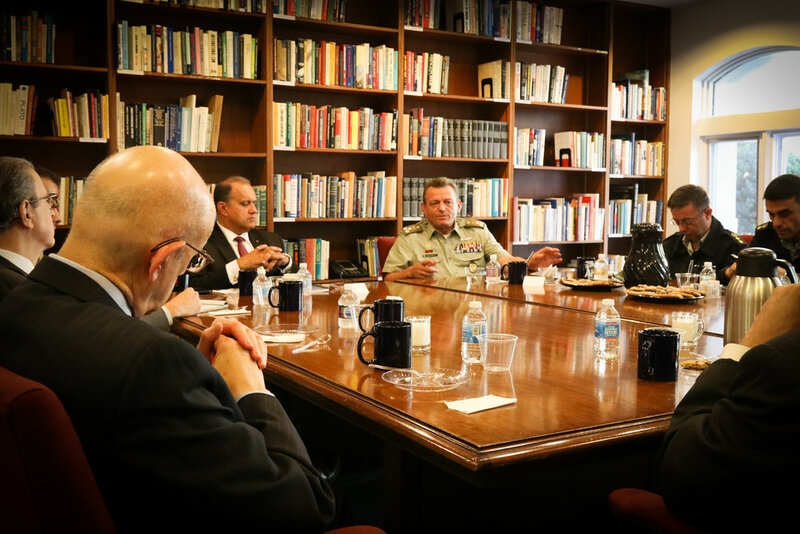 Lt. General Ilias Leontaris, chief of the Cypriot National Guard, visited Hellenic House on the afternoon of October 17, 2018 for a discussion about the country’s security challenges. President Nick Larigakis, Board Treasurer Nicholas G. Karambelas, Esq., Board Member James L. Marketos, Esq., and Legislative Director Peter Milios represented AHI. They were joined by colleagues Daniel Mariaschin, CEO/executive vice president, B’nai B’rith International and Alan Schneider, director, B’nai B’rith World Center in Jerusalem; and guest, Brian Kelleher, general manager, Capital Hilton. In the evening, AHI hosted Lt. General Leontaris for dinner in his honor at Metro 29 Diner. Twenty AHI members and supporters attended.